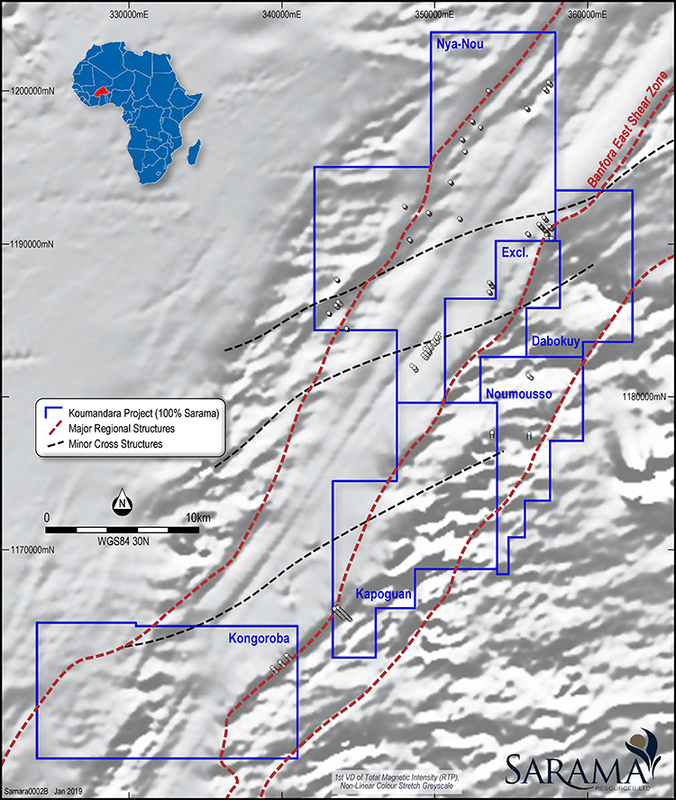 The 100% owned Koumandara Project covers 600km2 and is situated in the northern Banfora Greenstone Belt, approximately 80km west of Sarama’s South Houndé Project. The project enjoys good access to infrastructure being only 30km from Bobo-Dioulasso and the regional power grid. The Banfora Belt remains very under-explored and Sarama has assembled a significant land position on the highly prospective eastern margin of the belt. 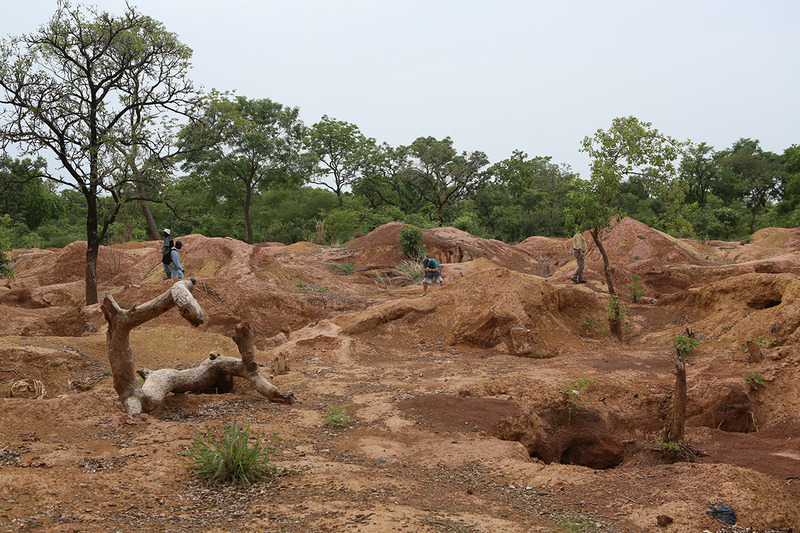 This part of the belt shares similar geological characteristics to those associated with gold in the Houndé Belt. Gold anomalism is coincident with; a major regional break with cohesive and high-tenor gold-in-soil and auger anomalies, major structural features and contrasting volcano-sedimentary lithologies with late-stage intrusions and major artisanal mining centres. The project has scale with multiple gold corridors, the largest being 43km x 10km. The most prospective corridor overlies a 45km-long section of a district-scale litho-structural break which is analogous to the Boni Shear Zone in the Houndé Belt. The large 43km long anomalous trend was not previously identified. 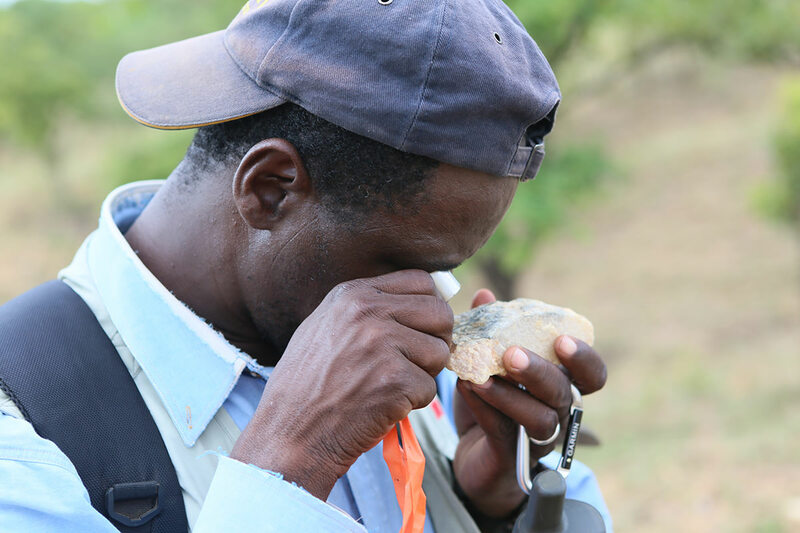 Exploration is mostly targeting free-milling, gold-quartz systems, and exploration results to date support this thesis with very high grades encountered in reconnaissance work, including 10g/t Au in RC and auger drilling and 4g/t Au values in gold-in-soil geochemistry. 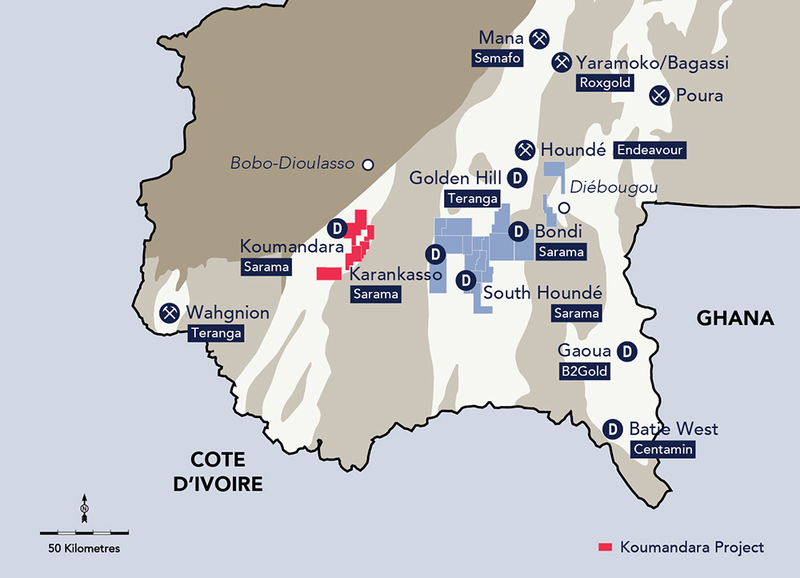 The tenor of soil geochemical surveys is approximately double that encountered at the South Houndé Project in the neighbouring Houndé Belt. 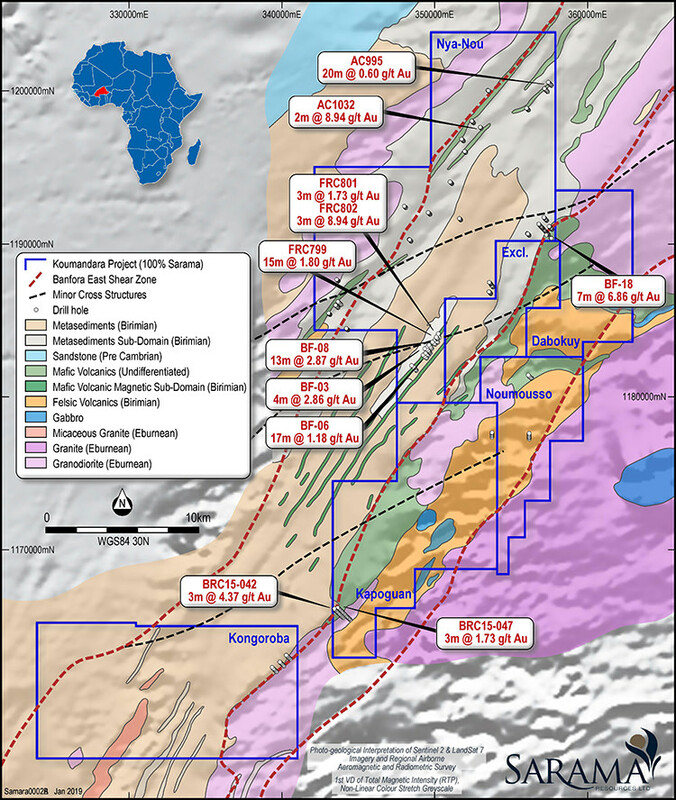 Historical scout drilling has delivered some very encouraging results including; 4m @ 10.6g/t Au, 7m @ 6.9g/t Au, 15m @ 1.8g/t Au, 13m @ 2.9g/t Au, 17m @ 1.2g/t Au and 3m @ 8.9g/t Au.